We have been devoting ourselves to applying easy-to-use and faster western kitchen equipment solutions. 2. We can help you to custom your products and your design, custom you brand on the products. (5)Our responsibility to our products and to serve customers ( 6)Our service to overseas customers. 5.We are professional in production team and control system. 6.We take the customers as our friends, sincere and honest to every customer. 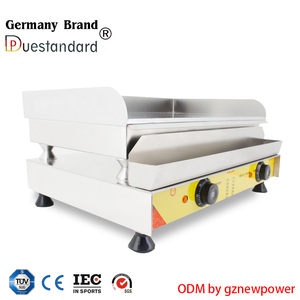 There are more than 100 kinds of products and complete lines of Kitchen Equipment. * Do not store foods in cast iron, as this can break down the seasoning. * Never put cold water in a hot pan; this can cause the pan to crack or warp. * Do not heat an empty pan or allow a pan to boil dry. 2) Do not place any cookware on the floors of ovens with cast iron linings. These benefits make enameled cast iron cookware the ideal choice for a wide array of stove top and oven cooking. No Seasoning - Because of the enamel coating on enameled cast iron cookware, there is no need for seasoning before use. 2.Do you present free sample9 Yes, we present free sample. 3.Can we use oem our own logo for machine and packing9 Yes, OEM is acceptable. 5. How do you guarantee your products quality9 100% inspection before shipping. Cikang furnace this section, simple structure, easy to operate. Welcome customers to China and visit factory,provide free training. 5). Help customers to purchase related products, such as cups, napkins, spoons, etc. 6). 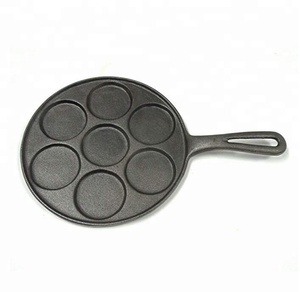 cast iron pancake pan with 8 holes material:cast iron size : 35*DIA20 CM coating : vegetable oil We ensure supply you products with reasonable price and top quality , having established a long-term cooperative relationship with many customers all over the world . Waiting for your contact . 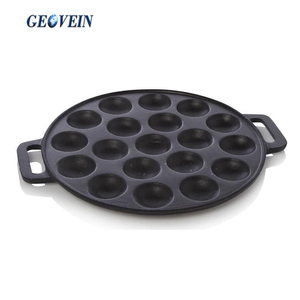 Item name: cast iron pancake pan with 15 holes Material:cast iron Specifications: Item number JQ-B002 Weight(kg) 2.2kg Size(cm) D:23CM inner Size(cm) 24.2&times;2.8&times;24.2cm Packing Size(cm) 27.5&times;26&times;25.5cm Qty/ctn 8pcs Qty/20'(pcs) 8300 Packing : brown box,white box,color box , gift box and brown carton or any you requirement Shipping Shipping by air ,Our partner DHL,TNT,UPS Shipping by sea ,Our partner COSCO,CSCL,MSK,CMA We are the manufacturer, ensure that your good quality and best service. Already established a long-term cooperative relationship with many countries and regions. Waiting for your contact. 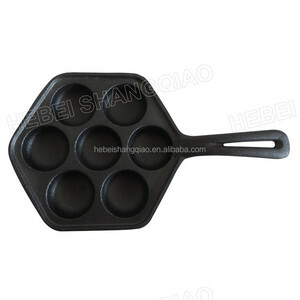 Alibaba.com offers 1,337 iron pancake pan products. About 40% of these are pans, 24% are baking dishes & pans, and 12% are cake tools. 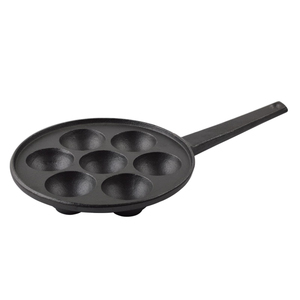 A wide variety of iron pancake pan options are available to you, such as fda, ce / eu, and ciq. You can also choose from aluminum, stainless steel, and carbon steel. 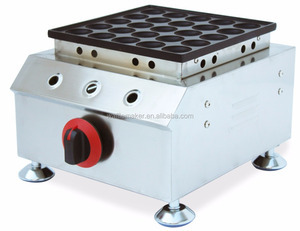 As well as from frying pans & skillets, griddles & grill pans, and chef's pans. And whether iron pancake pan is free samples, or paid samples. 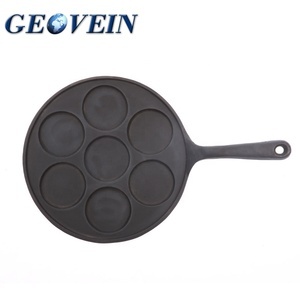 There are 1,259 iron pancake pan suppliers, mainly located in Asia. 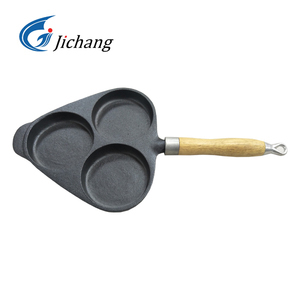 The top supplying countries are China (Mainland), Japan, and Taiwan, which supply 97%, 1%, and 1% of iron pancake pan respectively. 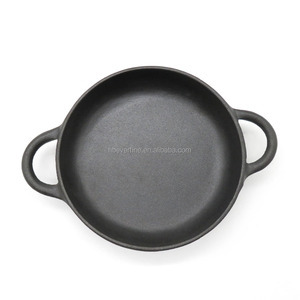 Iron pancake pan products are most popular in North America, Western Europe, and Eastern Europe. You can ensure product safety by selecting from certified suppliers, including 126 with ISO9001, 95 with BSCI, and 16 with Other certification.